Sunrooms, also called sun porches and Florida rooms, offer up the comforts of indoors, along with the opportunity to view the natural beauty of the great outdoors. In a properly-designed sun room, you can appreciate the glories of summer sunshine without being exposed to heat and burning rays; in wintertime, you can enjoy snow-covered scenery without the discomfort of bitter winds and frigid temperatures. A place to dine, socialize, or merely sit savor the view, a sun room is a private oasis that can add a feeling of expansiveness, spaciousness and grandeur to any home. 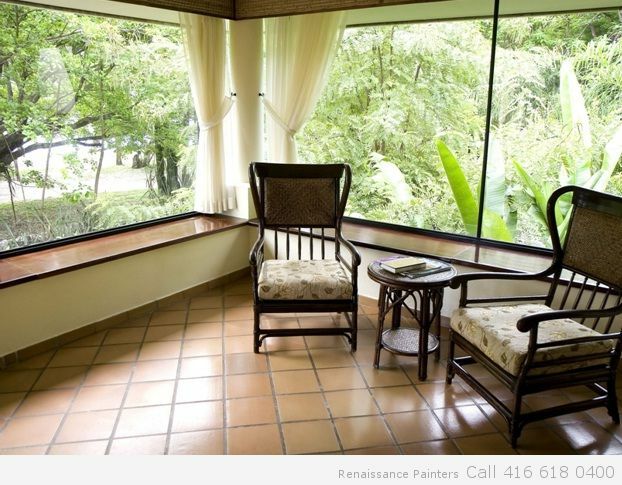 Sunrooms come in three basic styles; to some extent, the climate in your area will determine which one is best for you. Skilled contractors will be happy to consult with you in order to help you plan and design a sun room that suits your budget and preferences. A screen room, also called an enclosed patio, enclosed porch, or lanai, is simply a patio or deck that has had a roof added, along with framing and screens. This type of room provides protection from biting insects and ultraviolet rays, but not from cold winter temperatures. In warm climates, a screen room can offer a lovely vantage point on the outdoors — and the various palms, palmettos and flowering plants that enliven tropical and subtropical landscapes — virtually all year round. The most commonly-used material for warm-weather sunrooms is aluminum, which is durable, lightweight and inexpensive. Aluminum panels are often available with an enamel finish in a variety of pleasing colors. Wood, such as cedar or pine, is another option for framing a screen room, and one that contributes an attractive organic feel. A three-season room differs from a screen room in that it features both panes of glass and screening. In cooler weather, the panes can be utilized, while screening allows for warm-temperature use of the room. With the use of the glass panes, you can actually enjoy a three-season room in all four seasons, but if the room is not insulated for winter, you may need to bundle up a bit. Vinyl is an ideal material for three-season rooms, as it provides better insulation than aluminum. It is low-maintenance, durable and attractive – with a more seamless look than aluminum — but can be considerably more costly. Like aluminum, vinyl can also be ordered in a wide variety of colors and styles. 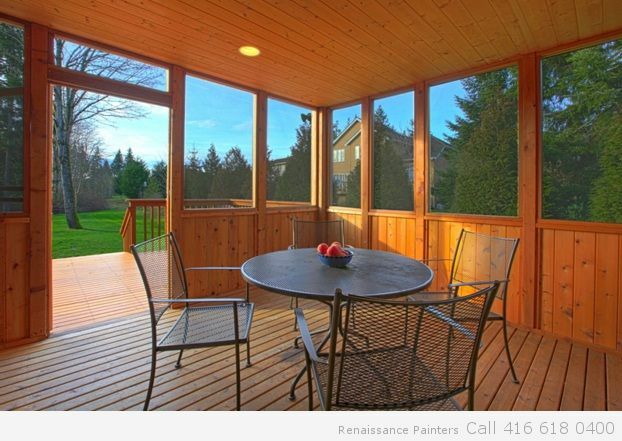 All-season sunrooms, like interior rooms of your house, can be enjoyed all year round. The difference between an all-season and a three-season room is that in the former the glass will be double-paned, the room will be well-insulated, and there will be an HVAC system in place to keep the room toasty when outside temperatures plummet. With an all-season room in a cold climate, it is possible to sit in comfort while enjoying the glories of a snow-covered yard — possibly ornamented by blue jays and bright cardinals – or socialize with friends as snow falls all around. When decorating your sun room, it’s best to stay with natural, organic textures and colors to accent and harmonize with the beauty of the outdoors. Breezy seaside colors such as turquoise or aqua can create an ocean side look, enhanced with driftwood displays and shells. Low-set white couches, gauzy white curtains, wicker furniture and a selection of thriving potted palm trees can create a tropical feel. If you find yourself unable to decide between several ideas, or if you are unsure how to decorate the room in a way that is cohesive with the design scheme of your house, you may want to work with a professional color consultant.